Lokayukta P Vishwanatha Shetty is the judge of the high court in the Bangalore city of Karnataka. According to the recent reports, a man visited his office and stabbed him on March 7, Wednesday. The Justice Shetty is admitted to the hospital and is out of danger now. Mr. Reddy, the home minister of Karnataka clarified that the attacker entered the office claiming that he is a lawyer and want to meet Lokayukta. 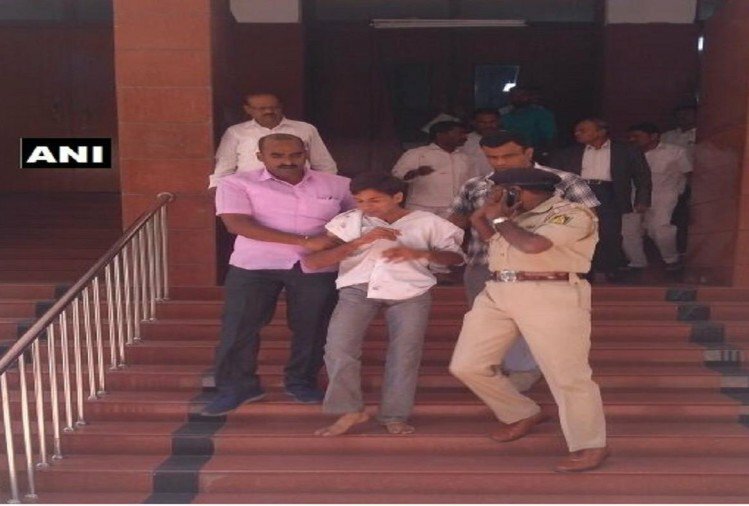 However, the reports state that the attacker tried various attempts and stabbed Mr. Lokayukta P Vishwanatha 3-4 times which lead to several injuries on his body. According to the commissioner’s statement, there have been a total of 5 stabs in Vishwanatha’s body. BJP leader and Union Minister, Mr. Ananth Kumar said that this fatal murderous assault in the daylight was uncertain and it is a clear sign of declining law situation in Bangalore. He further added that this was the fatal attack due to which the Judge of Bangalore high court is fighting for life and death. Apart from this, BJP MP Shobha Karandlaje accuses the Congress Government of this act. She said that the Congress Government has destabilized the law and order of Karnataka. She added that Congress is not taking any serious action regarding this crucial case. BS Yeddyurappa also reacted harshly to this tragedy and commented that the Karnataka Government is getting worse and worse. He also tagged Siddaramaiah, Congress government and said that it is the time to take an action against the regular crimes and attacks. However, the Congress Government responded to this comments by tweeting in favor of Mr. Vishwanatha. Dr. G Parameshwara posted that the Government was astonished to hear the fatal news and has arrested the attacker instantly after the incident. He said that the criminal would be castigated and penalized for this serious attack. At a time when the government clarified that the attack was unfortunate, Suneel Kumar the Commissioner of Bangalore mentioned that it was a pre-determined and well-planned attack. The rivals successfully accomplished their mission of harming the Justice Shetty. The recent reports spell out that Tejas Sharma, a bus conductor was the criminal. He took the advantage of the huge crowd present on the ground and accessed the office of Lokayukta. Taking out his knife from the pocket, he attacked the judge three to four times and left the palace. However, he couldn’t rescue, his image and the complete action was captured in the office cameras. The High court Judge has immediately hospitalized in Mallya Hospital and his condition is better now.